NEW ORLEANS (November 16, 2018)— The American Council on the Teaching of Foreign Languages (ACTFL) is pleased to announce that Rebecca Aubrey, an Elementary World (Spanish) Language Teacher at Ashford School in the Ashford School District in Ashford, Connecticut, and a representative of the Northeast Conference on the Teaching of Foreign Languages (NECTFL) has been named the 2019 ACTFL National Language Teacher of the Year. The announcement was made during the Opening General Session of the 2018 ACTFL Convention & World Languages Expo in New Orleans on Friday, November 16. Rebecca Aubrey teaches Spanish language at Ashford School, and is also an instructor at the University of Connecticut, Education Abroad. In 2018, she was named the NECTFL Teacher of the Year, Connecticut Coucil of Language Teachers Teacher of the Year, and Ashford School Teacher of the Year. 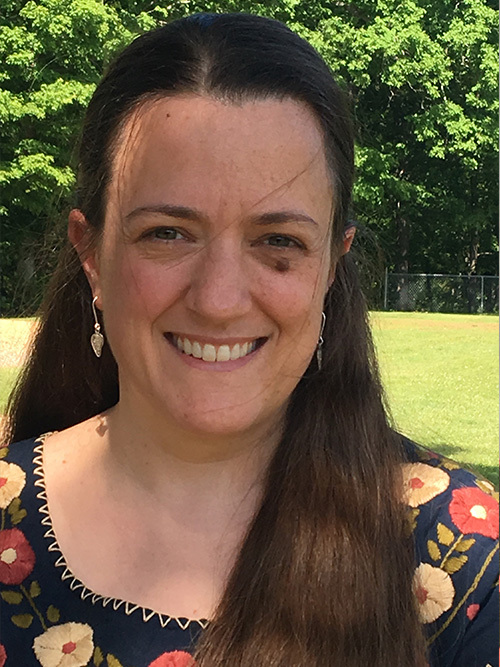 With 20 years of experience teaching Latin American studies and 10 years in Spanish instruction, Aubrey is involved in multiple organizations including Connecticut Association of Boards of Education, National Network for Early Language Learners, EASTCONN Social Studies Council, and Mansfield Public Schools Board of Education. Learn more about the ACTFL Teacher of the Year Program.